Michael Putnam birdied five of the first eight holes Friday and finished with a 7-under 64 to take the lead in the PGA Tour's OHL Classic. Charley Hoffman began to wonder if he would ever win another PGA Tour event. Even after he rallied to win the OHL Classic at Mayakoba on Sunday, he was reminded of how long it had been when his wife and two young daughters joined in the celebration. 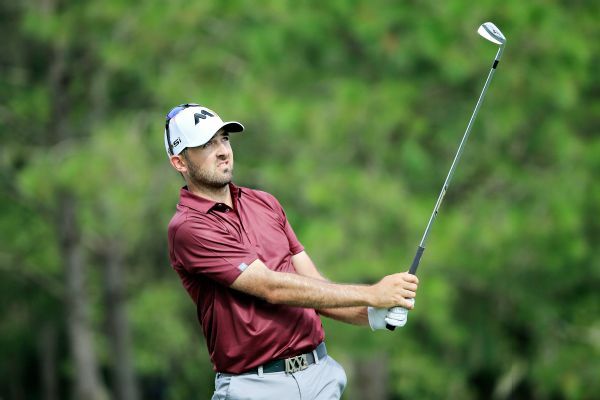 Canada's Adam Hadwin birdied the first six holes on the back nine and shot a course-record 9-under 63 on Thursday to take the first-round lead in the Chiquita Classic, the second of four events in the Web.com Tour Finals. Rhein Gibson shot a 7-under 63 on Thursday to take a one-stroke lead in the Web.Com Tour Championship, the finale of the Web.com Tour Finals. Jason Bohn looked out toward the ocean Saturday and knew it was going to be tough day at the OHL Classic. He kept it together long enough to take the lead.